When is this year's Houston Greek Fest? 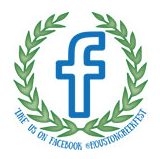 Where will the Houston Greek Fest be held? 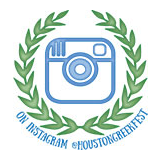 The Houston Greek Fest is held at St. Basil the Great Greek Orthodox Church located at 1100 Eldridge Parkway, Houston, Texas 77077. Available on the festival grounds for $5 weather permitting. Public streets at a first come first serve basis. We also suggest using a cab, Uber or Lyft. Service animals are allowed with proper identification. Will I be able to see inside the church? The festival will open rain or shine, come have fun with us! We have plented of seating, vendors, and food booths under the big tents. Will children's changing tables be available in the restrooms? We do have a changing tent and table locating in the kids area. We do have a kids zone with games and inflatables as well as facepainting. There is plenty of food your little ones will enjoy, and the entertainment is family-friendly. We do ask that parents surpervise their children at all times. Many booths take credit/debit cards, and there are also ATMs available on the premises. We have 24-hour security conducted by the Houston Police Department. Is there a first aid station if needed? There is a first aid station and emergency medical services onsite. go to the menu page. Is gluten-free food available at the festival? There are gluten sensitive options, however, due to the possibility of cross contamination we can not guarantee any item is gluten free. Will there be any vegan or vegetarian food options? Vegetarian options are french fries with or without cheese, cheese pizza, and dolamthes with rice, and the vegan options would be rice dolamthes, and french fries without cheese. We have plenty of great food therefore we do not allow outside food or drinks to be brought in. Yes, we have alcoholic and non-alcoholic beverages available. Are there any special events during the festival? We have Greek dancers performing throughout the festival. This year we have added live music. How can I learn more about becoming a vendor? Go to our vendor page. How can I learn more about becoming a sponsor? Go to our volunteers page.